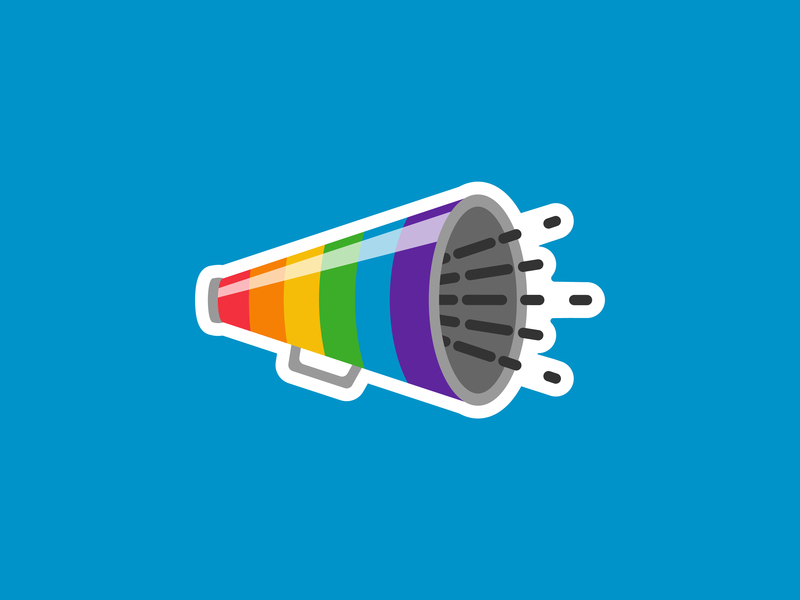 Pushing LGBTQ+ visibility and social issues to the forefront: Lauren Marek and Carra Sykes told us why purpose, courage and collaboration are at the core of creating meaningful work. Each creative powerhouses in their own right, Lauren Marek and Carra Sykes are a multidisciplinary duo intent on raising LGBTQ+ voices and representation through work that at once delivers wit and social impact. Currently building their home together in a small town between Houston and Austin, Texas, the pair combines Lauren’s extraordinary photography with Carra’s illustration and art direction to spur positive visibility, courage and equality through compelling visuals. 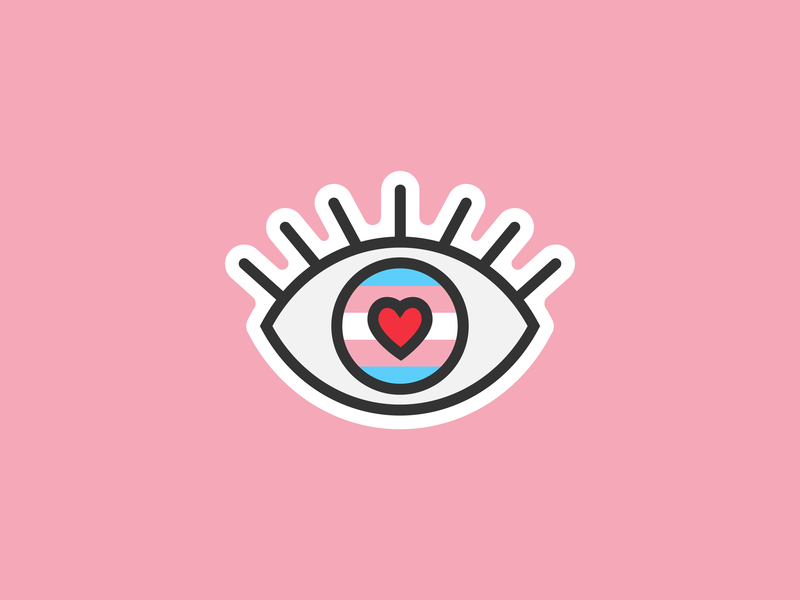 They spoke to us about their collaborative creative process, purpose-driven work and latest projects, including Instagram’s now ubiquitous LGBT sticker series. Tell us a little bit about your respective art practices. How haveyou developed your styles? Carra: I’ve been drawing since I could hold a writing utensil. Creating art was –and still is – a way for me to express my imagination. It’s hard for me to go a day without making something creative. I went to university for Graphic Design and then worked at an agency in Houston for about 3 and a half years. During my time there, I realized I wanted illustration to be a bigger part of my life. I ended up leaving that job about a year ago to pursue my own thing. After leaving, I had to push myself to keep making and this is when I started making more illustration series. The more work I do, the more I’m able to see a connection in style. Most of my work is bold and heavy and colorful. I want it to be fun to look at but also make people think. Lauren: I grew up wanting to be a filmmaker but fell into photography during college. I think my style and practice is always evolving but at the core I take photographs for the purpose of preserving my memories. You both address a range of key social issues with your work. Do you feel that photography is a useful tool for getting peoples voices heard? Carra: Definitely. Photography can put a face or an image to an issue and make it more human. Photographs can help people feel emotions in a visual way, in turn creating a platform for people to be heard. You create a lot of work in support of LGBTQIA+. How do you feel art helps stand with these communities? Carra: Positive visibility for the LGBTQIA+ community is extremely important. Seeing art and work that supports the community helps us know we are a part of something bigger than ourselves. It’s important for people to know that they are not alone and that they matter. What challenges do you face creating this type of work? Lauren: For me it was getting to the point where I felt comfortable being out. Carra: When I was younger, I was afraid to speak up about my sexuality. Now, I get excited and feel proud making art that supports the LGBTQIA+ community. The main challenge for me is making sure I am creating work that is genuine. In what ways is creating this work important for you? What are your main drivers? 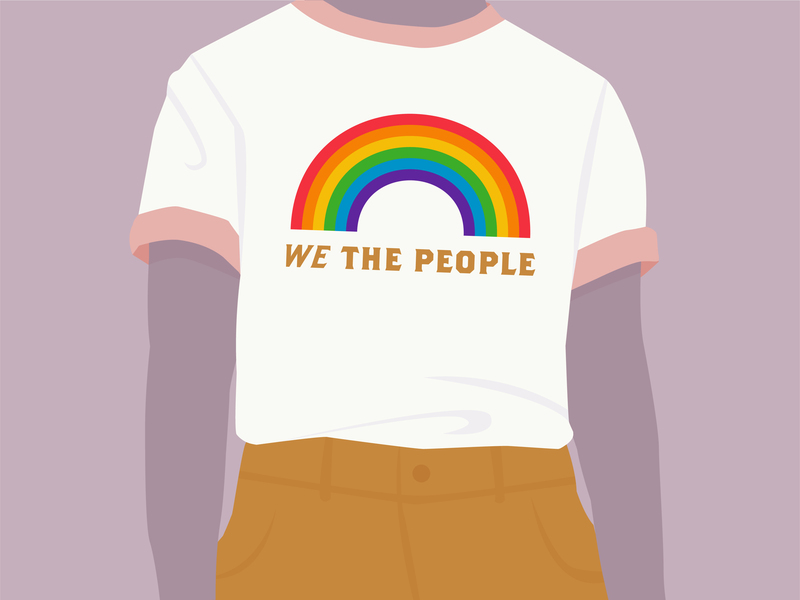 Carra: Again, positive visibility is so important for people of all ages in the LGBTQIA+ community. This is a big push for me to create work that can help people feel a part of something and know there are people fighting for equality alongside of them. When I saw people being brave, that’s what helped me be brave and I hope my work helps give courage to those that need it. Lauren: If what we do can positively affect one person it’s worth it. How does working together benefit you both creatively? Carra: We come from different creative backgrounds, so it’s nice to have fresh eyes on each other’s work. It also helps to have a support system while being creative. I learn a lot of technical things about photography from Lauren and it’s awesome to watch her work. Lauren: And I love watching Carra’s creative process and am inspired by her determination. Tell us about the future of working together. What kinds of projects do you have planned? Carra: I had always hoped I’d end up with someone that would want to make creative work together and support each other in our different ventures. I’m so glad that we have that together and so much more. I see us continuing to bring a full set of skills to the table for future clients and personal work. Our abilities complement each other, which makes working together fluid and natural. I hope we get hired as a team more often. We are so excited to have recently bought a Mid Century Modern home in a small town between Houston and Austin, Texas. It’s definitely a home that needs a lot of love and care. Fixing the home together will be a new way to push us creatively. We are going to be documenting the process and sharing what we create and also share little moments of how we do life together. I can’t wait! Explore Lauren and Carra’s latest projects via their website, or take a peek at their respective EyeEm profiles, @laurenmarek and @carrasykes.